“How can I ensure that those around me feel loved and delighted in?” I mused. Especially during the work day, I’m often so task–focused that I can forget that the person in front of me is a human to be loved, not a means to the end I am pursuing. Furthermore, much of my work is on the phone or by email. “Can I convey love and delight by phone and email?” I wondered. To make my intention specific, I wrote: “Three mornings a week, those with whom I interact will feel loved and valued by me.” I thought I could experiment with love at work three mornings a week (I’m a morning person, after all, and at my best in the early part of the day), even if I couldn’t achieve it all the time! Most of us work in cultures that tell us to guard our hearts at work. “Don’t show emotions. Don’t fall in love with a colleague. Check your heart at the door.” We receive messages like this regularly. While those messages do contain some truth and can protect us from the kind of soap opera affairs that damage working relationships and harm homes, they can also cause us to operate from a foundation of fear. When we guard our hearts too much, we lose the ability to form appropriate heart connections with our co–workers and customers. We come across as cold and unfeeling. Southwest Airlines addresses this challenge by encouraging employees to bring their hearts to work. “Fun,” “humor,” and “love” all figure in Southwest Airlines’ vocabulary. One writer calls the secret of Southwest’s success the power of “relational competence.” Simple to understand but not easy to live, relational competence requires both training and ongoing sustenance. Being caring toward fellow employees and customers is simple to understand but not easy to do in the relentless daily pressures of running an airline. It is because of these pressures that Southwest hires people who are already caring people with a good sense of humor and then trains them to be even better at those skills. How would you like the person to feel? Are you doing this because the company says you have to fill out a performance appraisal every six months, or are you doing this because you really want this person to have everything they need to succeed? Ensuring that the employee felt valued, Bailey stressed, made supervision more likely to be successful. So how am I myself doing? Today, on Valentine’s Day and six weeks after articulating my intention to offer love at work, I’m taking stock. To my chagrin, I’m realizing I did better the first three weeks of the year than these past three weeks. I’ve already lost the clear focus I had at the beginning. And I’m not receiving the delighted feedback I received from clients and colleagues that I received at the beginning. Valentine’s Day, for me, is an opportunity to begin again. 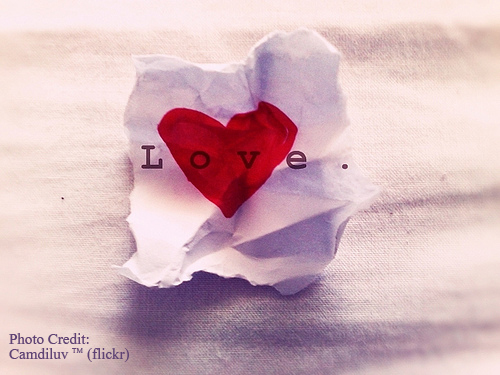 Practicing love at work takes time, patience, and beginning again (and again and again). May we all learn to open our hearts to one another so that we can be our best selves at work and harness the power of joy, delight, fun, and love in our workplaces.